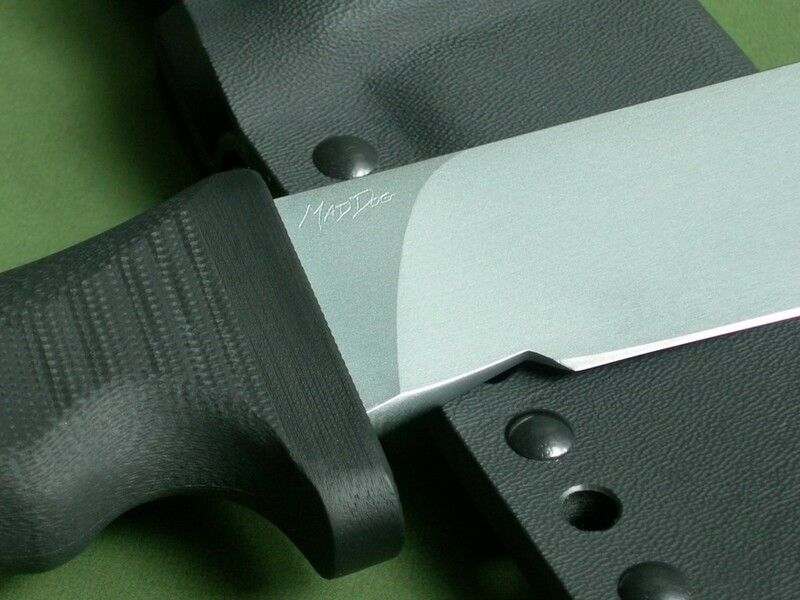 Black Composite Handle / Orig. 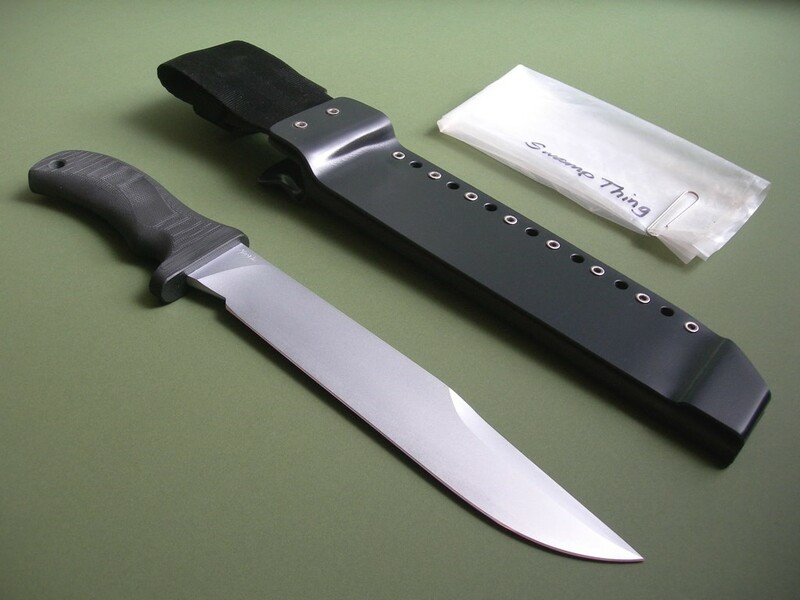 Summary: tucked away in one collection since new, this is a Mad Dog “Swamp Thing” with 9” Starrett 496-01 blade, type 1 choil, and black composite handle. Made from 1/4” stock, overall length is 14”. When received, the knife was in the original plastic with the MD shop grease on the blade. I cleaned off the grease, original edge and in mint condition. 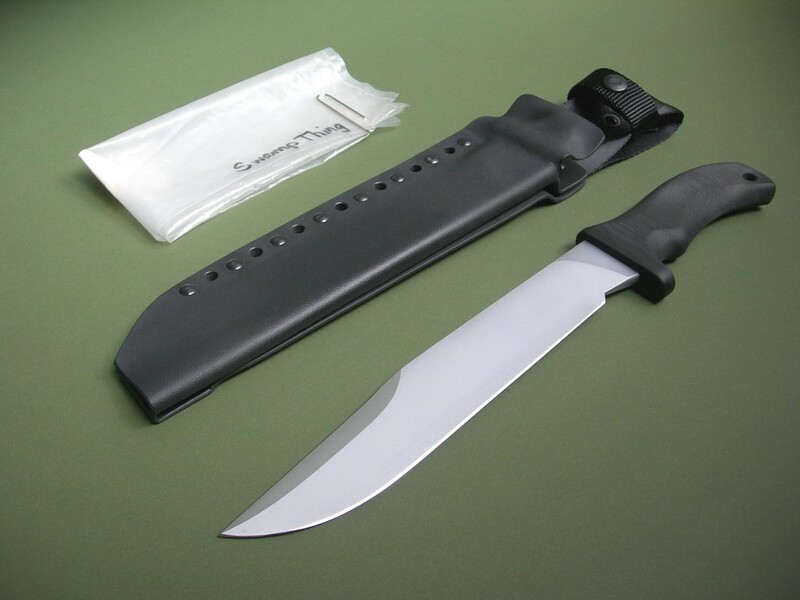 The knife comes with the original ATAK sheath which is also in mint condition. 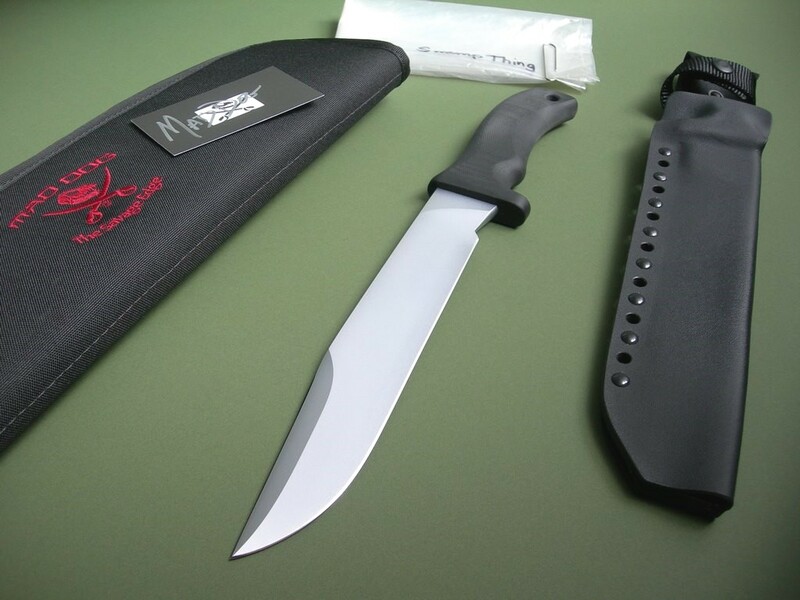 7 photos for review – as shown, a new Mad Dog Knives carry case is included. 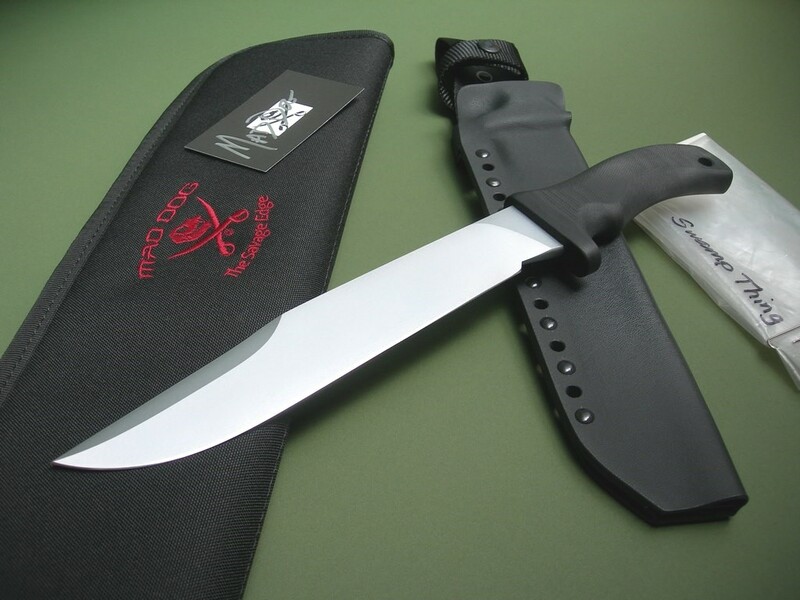 This is a great price for a long-bladed Mad Dog knife; just this one with black handle available so if you need it for your collection then you had better grab it quick before someone else does. Thanks and good luck.